Devotional readings that will take believers back to the place of redemption where an amazing, divine love changed the course of their lives forever. - Publisher "" Father, forgive them; for they do not know what they are doing." " My God, my God, why have you forsaken me?" " Do not be afraid." " All authority in heaven and on earth has been given to me." " Surely I will be with you always, to the very end of the age." Others have spoken famous last words. But none were so meaningful as His. Probe the power, the message, and the overwhelming love that Christ displayed at Calvary and beyond. For it is in the cross that we learn what His sacrifice meant for the eternity of us all. In Jesus' words and work on the cross is a message for each of us. A message of eternal life offered up freely. Of a perfect love with no end. Of a glorious hope attained at great cost. And of a divine power that exists beyond the limitations of all flesh and has conquered the powers of hell for the sake of us all. Calvary is not only the essence of Jesus' ministry to mankind, but the heart of Christianity. It should also be at the center of our lives as Christians. These devotional readings probe Christ's last earthly words and the biblical writers' words about the cross to reveal not only the meaning of Calvary, but the heart of God. They will also give you a richer understanding of the amazing love that drove Jesus there and what His death accomplished. Never again will the cross be a blurry illustration of our rebirth, but rather a vivid reminder of our desperate need for redemption and the inexhaustible love that earned it for us. 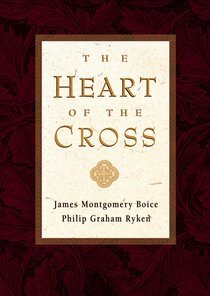 About "The Heart of the Cross"
"" Father, forgive them; for they do not know what they are doing." " My God, my God, why have you forsaken me?" " Do not be afraid." " All authority in heaven and on earth has been given to me." " Surely I will be with you always, to the very end of the age." Others have spoken famous last words. But none were so meaningful as His. Probe the power, the message, and the overwhelming love that Christ displayed at Calvary and beyond. For it is in the cross that we learn what His sacrifice meant for the eternity of us all. In Jesus' words and work on the cross is a message for each of us. A message of eternal life offered up freely. Of a perfect love with no end. Of a glorious hope attained at great cost. And of a divine power that exists beyond the limitations of all flesh and has conquered the powers of hell for the sake of us all. Calvary is not only the essence of Jesus' ministry to mankind, but the heart of Christianity. It should also be at the center of our lives as Christians. These devotional readings probe Christ's last earthly words and the biblical writers' words about the cross to reveal not only the meaning of Calvary, but the heart of God. They will also give you a richer understanding of the amazing love that drove Jesus there and what His death accomplished. Never again will the cross be a blurry illustration of our rebirth, but rather a vivid reminder of our desperate need for redemption and the inexhaustible love that earned it for us.